Iowa’s Market One building recently won the 2016 AIA Iowa Design Award. 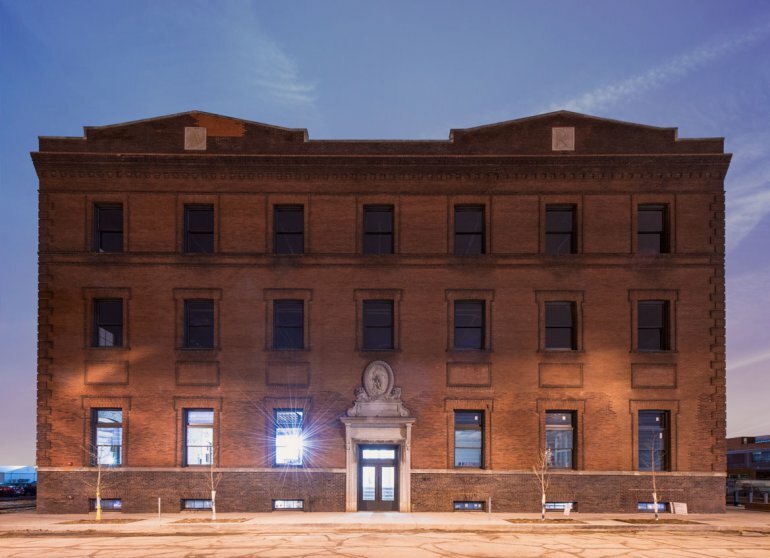 Iowa architecture firm, Neumann Monson Architects, recently finished remodeling the 114-year-old building. Market One is the state’s first commercial building that produces more energy than it consumes. Since the remodel, Market One is operating as a multi-tenant office space complete with a 3,000-square foot roof deck garden. Architects in Iowa are clearly making waves. To keep up this innovative work, architects in Iowa are required to complete 24 hours of continuing education in Health, Safety, and Welfare topics by June 30th, 2017. How do I maintain my Iowa architect license? The state of Iowa will send you a renewal notice around May 15th. This form must be filled out and returned to the state by June 30th. Where can I find courses to renew my Iowa architect license? Architects Training Institute offers a 24-hour package that meets all state requirements for CE. There are also smaller packages, and individual courses available to meet whatever needs you may have. Who submits my continuing education certificates? You will be able to print and mail a certificate of completion to the state as soon as you finish the course. If you are an AIA member Architects Training Institute will submit your continuing education to the AIA upon completion. This entry was posted in Architecture and tagged Architect Renewal, Iowa, Iowa Architects.